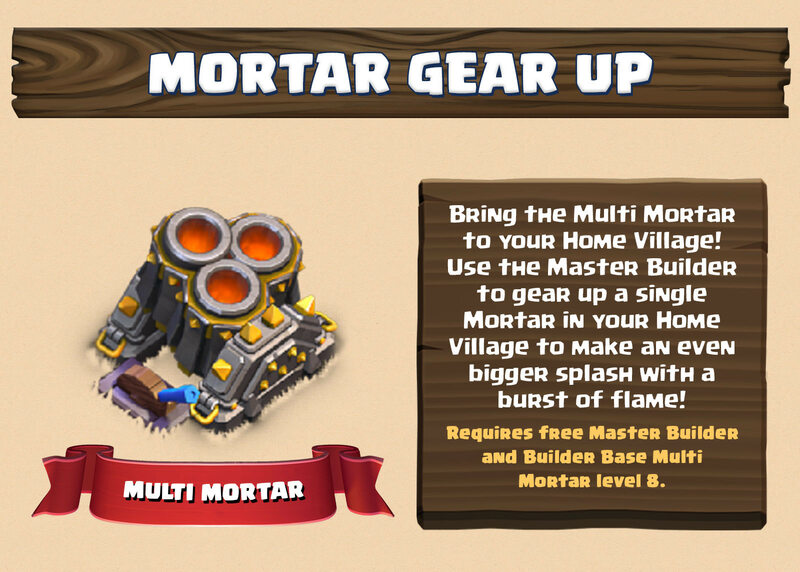 Update 05/03 - Builder Hall 8 Is Here! 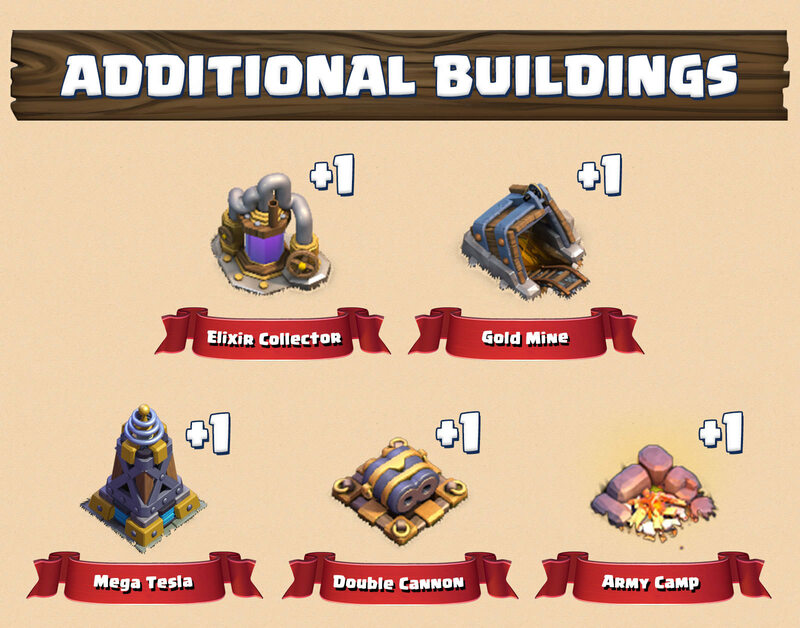 Thread: Update 05/03 - Builder Hall 8 Is Here! 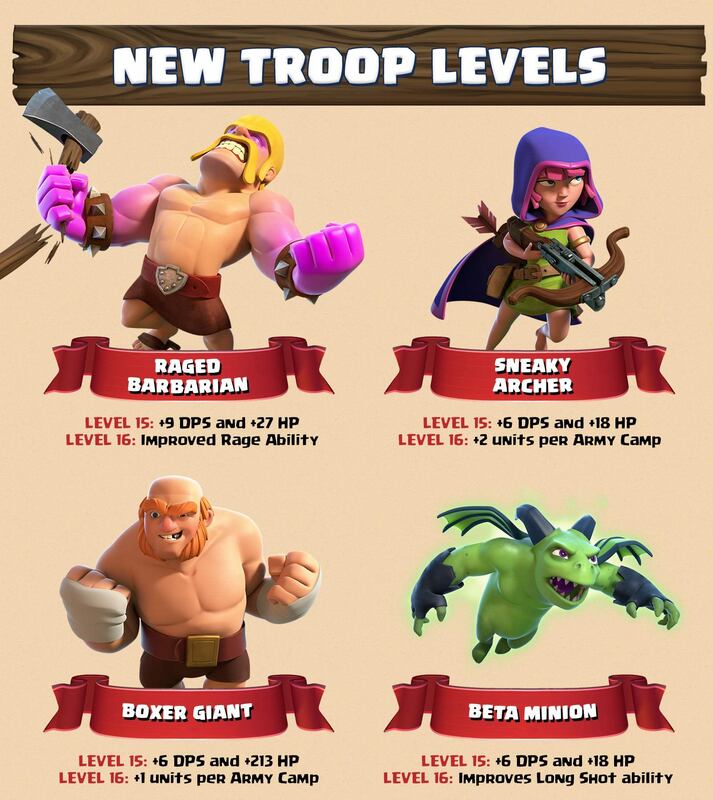 In the latest content update for the Builder Base, we are introducing new levels, a new troop and a new defensive building, along with some minor balance changes. 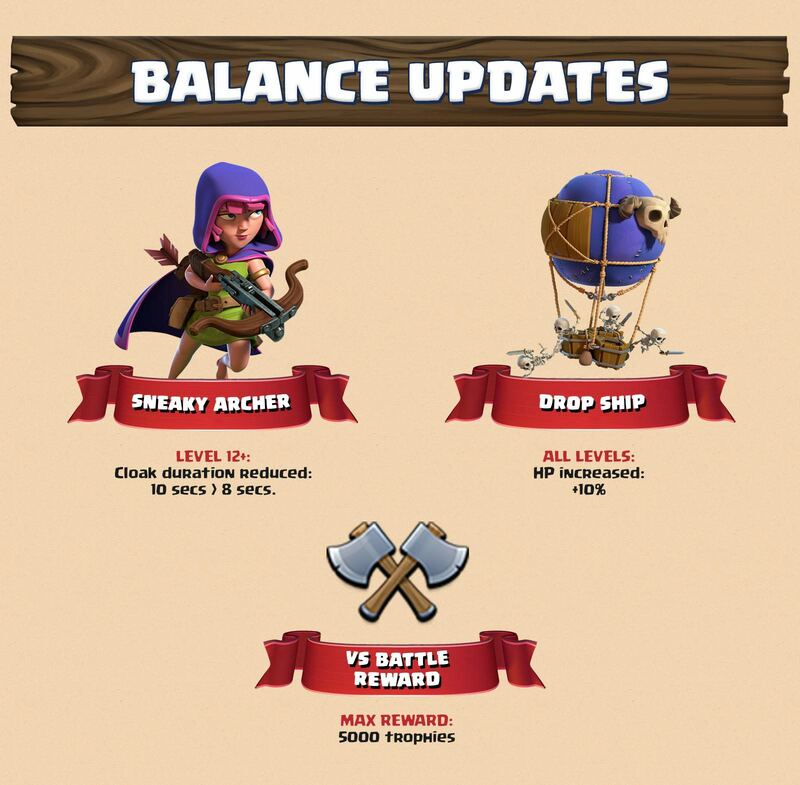 Here is what you will see in the Builder Base update! 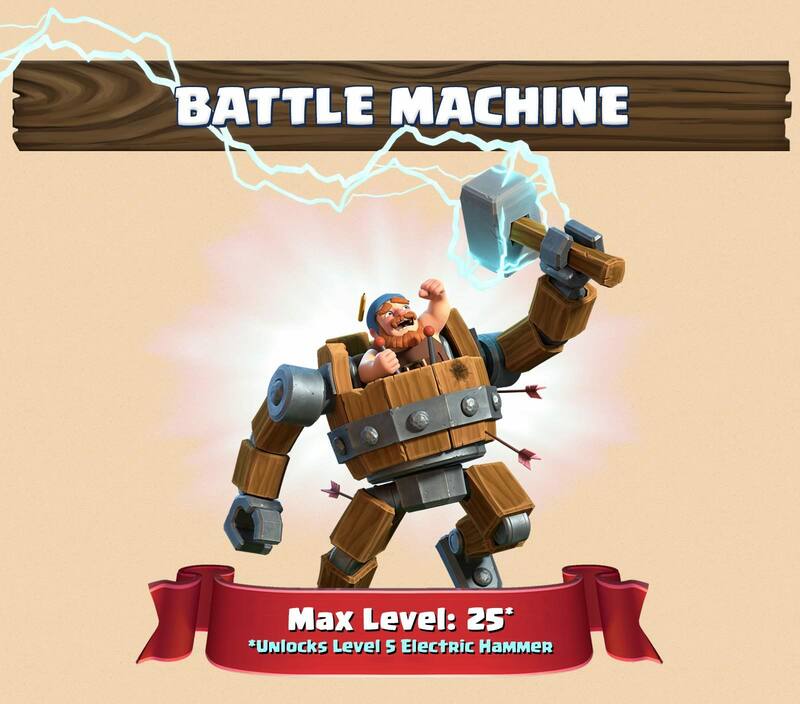 - Damage has been balanced to increase the time it takes to reach max damage, from 4.25 seconds to 5.25 seconds. 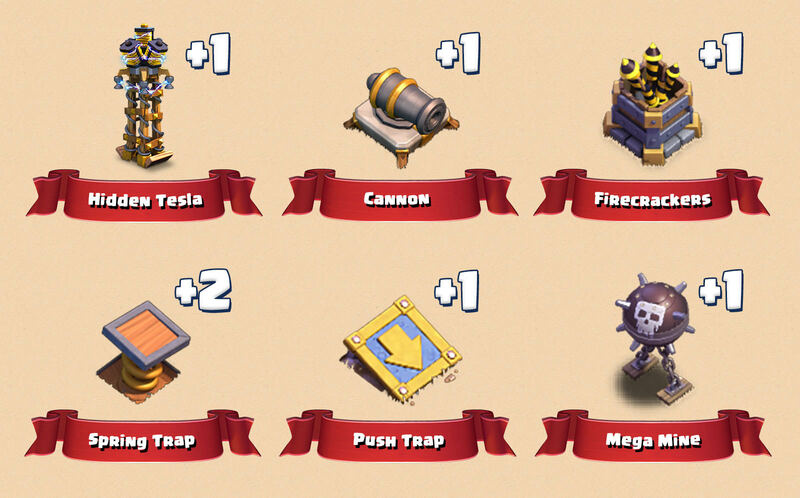 - Level 4 is now available at Town Hall 9 instead of Town Hall 10. 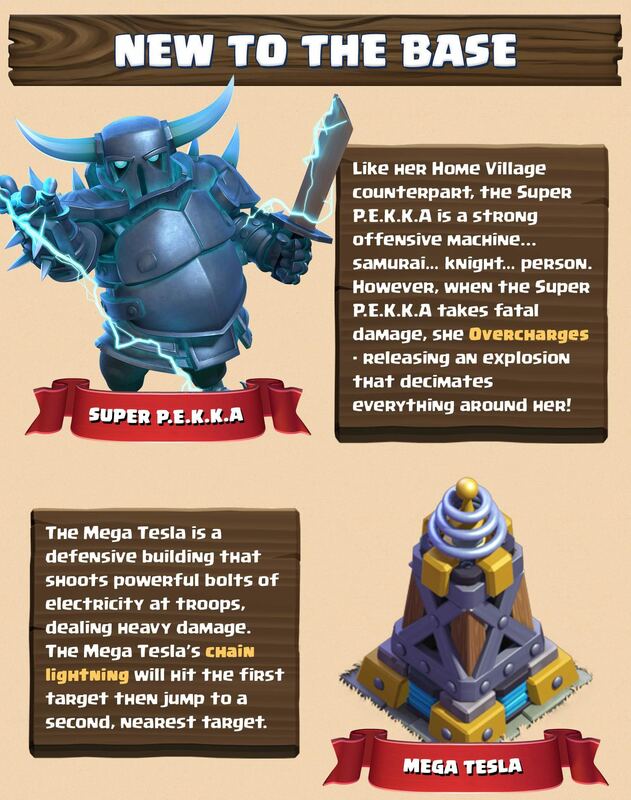 - Costs 8.5 million Elixir instead of 10 million. 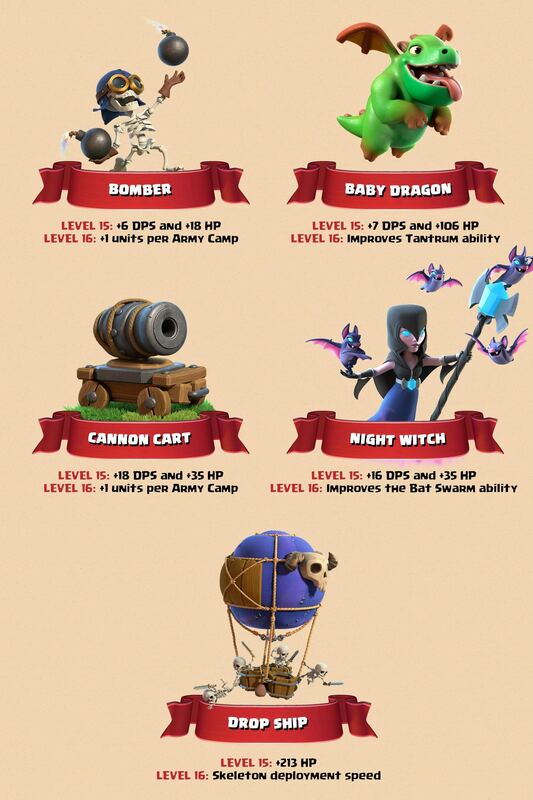 - Level 7 is available at Town Hall 11 – Upgrade times have been adjusted/reduced so the Level 7 upgrade is now 14 days. The Trader is a traveling merchant who, starting at TH8, will frequent your Village to peddle his exotic wares. 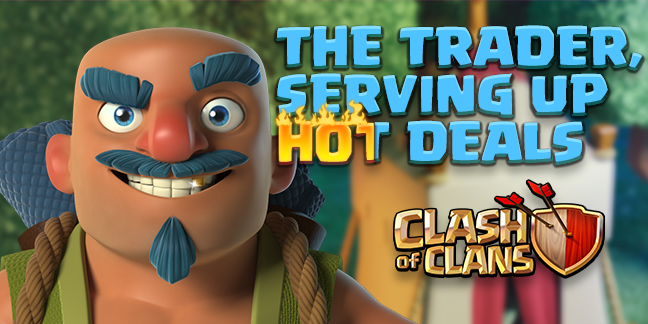 Setting shop on the other side of the Clan path, across from the Clan Games carriage, the Trader will have 3 special deals for you each day. Perhaps you’d like to acquire a Magic Item or other rare and unusual novelties? The Trader may just have what you’re looking for.